Like many of you, I was waiting with great anticipation to hear what would come out of the Executive Committee of The Council of Bishops when it met last week. I have been praying regularly for United Methodist bishops, especially during this meeting. I cannot imagine how difficult being a United Methodist bishop must be in our current moment, especially as the bishops of United Methodism are as divided as the church they serve. This paragraph strikes me as particularly important because it frames the rest of the work that the Executive Committee did, especially in working to create the Commission on a Way Forward. The first time I read the statement the content of this paragraph raised so many concerns for me that it drowned out the rest of the statement. Is there any doubt about the declarations of non-compliance from several annual conferences? It seems a matter of record that these declarations of non-compliance occurred. So, why are these framed as “reported declarations?” The word “reported” seems extraneous and muddies the water regarding the seriousness of what those actions mean for The United Methodist Church. My first thought when reading this list was, “One of these things is not like the other one.” More specifically, one of these actions did not violate The Book of Discipline or express opposition to the theology or polity of The United Methodist Church. The Wesleyan Covenant Association (WCA) should not have been included in the list of actions that “have opened deep wounds and fissures within The United Methodist Church and fanned fears of schism.” Including the WCA in this list reads like a distracting and disparaging attempt to say that both extremes in The UMC are at fault for the current trajectory of United Methodism. But this is misleading. The declarations of non-compliance and the election of Rev. Oliveto were actions taken by annual conferences and jurisdictions in direct opposition to the will of General Conference and the polity of The UMC as found in The Book of Discipline. Moreover, both acts were undertaken by bodies that constitute units of United Methodist polity. The WCA is different in that it is not an annual conference or jurisdiction. Most importantly, the WCA has not taken any action in contradiction or violation of The Book of Discipline. From what I see on their website, they haven’t even had their first meeting, which will be in October. I realize that there are deep disagreements related to gay marriage and human sexuality more broadly. These disagreements are genuine. People of good will can disagree with each other. I can see why Bishop Ough would want to avoid placing blame solely at the feet of one part of the disagreement because he and other bishops would worry that it would make a difficult situation worse. And yet, the actions that have led to further strains on the fragile unity of The United Methodist Church since the Bishops’ plan was approved by the General Conference have come almost entirely from one direction. It does not help this fragile unity to ask those who started the WCA to share blame for “opening deep wounds and fissures within The United Methodist Church” with annual conferences and jurisdictions that have explicitly and intentionally violated United Methodist polity. Since the end of General Conference, I’ve heard from a number of evangelical United Methodists who are working hard to keep people, both lay and clergy, from leaving United Methodism. Evangelical United Methodists are considering leaving not because of a lack of support for The United Methodist Church. Evangelicals are considering leaving because The United Methodist Church is not who it says it is. And they are considering leaving because they are tired of the dysfunction of United Methodism being blamed on them, even though their complaint is that the Discipline is not being upheld. The creation of the Wesleyan Covenant Association did not create deep wounds and fissures in The UMC. Rather, the WCA formed because of these wounds and fissures, which have resulted from years of violation of The Book of Discipline and an unwillingness by some to hold those people accountable in order to preserve a meaningfully united Methodism. 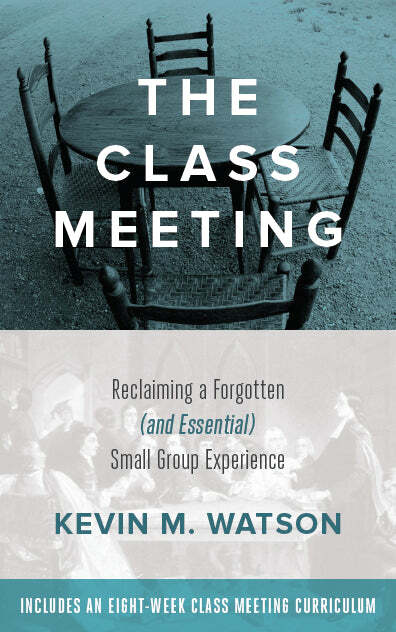 Kevin M. Watson is Assistant Professor of Wesleyan and Methodist Studies at Candler School of Theology, Emory University. You can keep up with this blog on twitter @kevinwatson or on facebook at Vital Piety. I had the same reaction: why was WCA included as a source of wounding? From what I’ve read of the WCA it is not schismatic and does not have such as a goal. Those who signed on see sound doctrine as a medicine of the church for its healing. A further provocation adding to the fire is the Annual Conferences which decided to support the RCRC in response to the GC2016. Thank you, Kevin! Your response is precisely mine. Yes Kevin that statement jumped off the page at me. I wondered how the work of WCA attempting to hold together the covenant wounded the UMC!? The future, what does it hold for us? It seems that the Council of Bishops is more interested in establishing “unity” than it is in preserving the truth of the Christian faith. One saving grace is that the work of the Commission on the Way Forward must be affirmed by the General Conference if it is to be enacted. I doubt the General Conference will affirm any plan that takes us away from orthodox Christian teaching. If the Council of Bishops is wise, they will include some orthodox scholars like you, Timothy Tennent, and Beth Felker Jones on the commission. In the Kingdom of God there is mercy, grace, and forgiveness, but there are no excuses. When you want to excuse someone’s behavior it is a common tactic to lump everyone together to make the excuse easier to justify. “We all have sinned therefore I excuse you as I hope you excuse me.” In law enforcement this is called “blaming the victim” and is employed by those with a broken moral compass to minimize the severity of the wrongful act. There is a huge difference between an oath breaker and an oath defender and it is long past time for the Council to stop excusing those who break their oaths and make a clear call for the only action that enables one to receive mercy, grace, and forgiveness in the Kingdom , repentance. Thank you…we need more voices like yours. Amen. That just leapt off the page at me and left me very angry. I just don’t see how we are not going to split. You have the conservative/traditionalists who want to maintain what we have and just get on and do ministry. You have the other side (whatever you want to call this bunch) who are focused on activism and changing the church’s stance on sexuality. And then you’ve got some well paid bishops and other bureaucratic people who have a vested interest in keeping it all together and who just apparently do not have the ability to say anything with any substance or to lay blame where blame is due. Quite frankly, it is getting hard for me to even look at Bishop Ough and quite frankly, I don’t think I want to be a part of such a dysfunctional mess. It’s just getting embarrassing to me. This is a mess. Well said, Kevin! The statement from COB raises another question: Who’s driving the bus? Who pushed for the inclusion of the WCA as a fissure point? I’ll admit to being confused by that myself. But instead of writing (one of a numberof) blog posts about it, why doesn’t somebody write to Bishop Ough and ask for a clarification? Take this out of the world of ‘making a point’ and put it into the world of ‘communication’. Hi Tom, did you write Kevin directly to ask this question? If you did, I commend you for following the logic of your own comment. If not, it’s probably because Kevin made his observations in a public forum. In the same way, the statement from the Council of Bishops Executive Committee was released in a public fashion. As such, I assume they expect to receive public questions and feedback. After reading the Bishops comments I fealt as though it was our fault for being true to our oath. To me the real question lays in the presidential election. If Hilary wins there will be no turning back the liberal leadership in the UMC. Do we really think that the current leadership will allow that headline on CNN? ” UMC pulls creditials from LGBTIA community. UMC has ordered a cleaning of the church.” It is not going to happen! I read this article and saw the Bishops letter as the conservative law abiding bod supporting Christians are just as guilty, because they started the WCA. Thank you. I have been a United Methodist for 60 years, 48 and counting as a pastor of the UMC. I am a UMC not because I was born into it but because God called me here. It was here I finally accepted Jesus, here I finally surrendered to the call to ordained ministry, and though I have thought about leaving years ago, it was HERE that God has called me to serve. I have had nothing but the deepest love for Jesus and that tribe of the body of Christ called United Methodist. The thanks I receive for this from the church I have loved so long and served so faithfully is to be ranked among those creating the fissure. I am sensing that if this Commission follows the ways of the progressives, God is giving me His permission to “new ground”, and if so, I will follow Him into the “new ground”. Thanks again for your expert analysis! Thank you Kevin Watson for this insight. I am offended that just “talking about” forming a WCA is equal to MULTIPLE violations of the Discipline. The list is NOT in chronological order. Perhaps WCA is a reaction to the violations and was NOT done BEFORE the violations occured! Thank you, no mention of Reconciling Ministries by Bishop Bruce Ough who are actively engaged in bringing churches into public affirmation of being “Reconciling Communities” and thus aligning support for their side of the argument. It seems to me that the regressives who call themselves as progressives are once again redefining things and distorting language to accomplish the ends they seek. The really do not care about the “United Methodist Church.” They care about getting what they want, when they want it and how they want it. Amen Kevin! I thought the same thing when I read the statement. The WCA is not violating anything. As a matter of fact, those of us who are a part of or who support the WCA have gone to great links not to violate the covenant by which we are bound relative to even the conversations we have. I see things a bit differently, but I am glad I read your perspective. A division isn’t caused by one side. I am sure folks that wanted segregation to remain in tact blamed the black folks who refused to move to the back of the bus or leave the lunch counter. When a group feels oppressed are they to just stand by and be stoned because our rules allow it? I think change is happening because the oppression is being resisted and because friends are laying down their lives for their friends and dropping the stones of judgement. I see the WCA as hope. Hopefully it will keep conservative Methodists from leaving and joining the ACNA, EVC, PCA, Lutheran Church (Missouri Synod), Seventh Day Adventists, etc. where the only name they will be called is “brother”. The Northeastern Jurisdiction voted by a significant margin to ask all of its conferences and all of its bishops to disregard a whole list of provisions of the Book of Discipline, yet this did not make Bishop Ough’s list. In the meantime, the bishop blames the WCA for causing our division. There is indeed something wrong with this picture. Well stated, Kevin. Borrowing from the comment by J W Lung above, “blind guides” (Matthew 23) do indeed seem to be in the ascendancy on the COB, and, as a result, I am quite certain that faithful (orthodox) followers of Christ who also carry the title “Methodist” will be looking to the WCA to open the real way forward for our “untied” denomination. Excellent comment. I note the ORDER in which the bishop listed these: He put the formation of the WCA before the Oliveto election. Though it probably did precede her election, it was by no means as provocative. As you clearly state, WCA has really done nothing except schedule a meeting and ask people to pray. Moreover, except for people who hunt around on the internet or other sources, it was not something that blasted onto the headlines the way the election of a lesbian bishop did. I think the wording of this statement from the bishops betrays a strong “progressive” bias. Yes, I agree. It was both sad and offensive that the association of those wanting to defend our doctrine and discipline is equally associated with the division and pain caused by those who defy our discipline and doctrine. Kevin, the point thatyour blog misses is that the Bishops included the WCA along with the Olivetto election, because they both are current examples from parts of the church that are dissatisfied with current reality, even if for different reasons. It is not wrong for the Bishops to recognize this as they set about the task of trying to deal with the knds of differences that their examples illustrate. Dr. Harper, if that’s what the bishops had said in their post, I imagine Kevin wouldn’t have written this post. No, the statement lumps both together as “fanning the flames of schism.” The language presented those who are faithfully living their covenant vows with the same broad strokes as those who are pushing back against those vows by breaking them. Even if you believe that pushback is just and right, I don’t see how you can argue that the bishops letter is simply describing people who are dissatisfied with current reality. It clearly equates breaking covenant with a group whose stated purpose is to gather and pray. See that what you have heard from the beginning remains in you. If it does, you also will remain in the Son and in the Father. And this is what he promised us–even eternal life. We move ancient boundary stones at our peril. Kevin Watson’s analysis here shows exactly what the problem is with Bishop Ough and the executive committee of the COB assuming that all sides in our current crisis are equally liable for the schism we are currently experiencing. I would only add that all the language in the report about the upcoming Commission focusing on “contextual differentiation” and “contextual definitions of autonomy” is a sure sign that the deck is about to be stacked. There is a deep assumption that an Adam Hamilton-like “third way” proposal is going to be the outcome of the Commission’s work. If such an aim is veiled, it is veiled only thinly. Speaking of “deep wounds” have we heard the voices of LGBT United Methodists? When the 111 clergy came out as practicing gays at Conference , they should have been immediately shown the door and been stripped of their credentials , and tossed. Bishop Ough has done a huge disservice to the COB by failure to lead. All gay “clergy” MUST GO ! Fact is, both extremes ARE at fault. The fault, in addition to the disobedience of the noncompliant declarations and election by the extreme left annual conferences and jurisdiction, is the TIMING. The General Conference asked the Bishops for help, … to lead us. They came back with a plan for a Commission to lead our Church in substantive Christian Conferencing. Then, undermining our General Conference action, BOTH sides simply wouldn’t wait. So much for Christian Conferencing, eh? I hear the frustration of the left which says they’ve waited too long – but until now there has not been a truly substantive Christian Conferencing effort like so many of us expected the Commission could provide. Also, the WCA was not so urgent to have to be convened before the Commission did its work. Regardless what the actual purpose is, as Marshall McKuen said years ago, “Perception is reality”. And the perception is that the WCA is the precursor for a new denomination. Like many protestants, we evidently don’t believe in waiting upon the Lord. Now the Commission is forced to basically do recognition work rather than discovery. So much for Christian Conferencing. Thank you for reading/considering my comments. God’s richest blessings to you all. With you, I’m praying for our beloved Church. Thank you. I have come to realize that one of the major flaws in this so called “pursuit of unity” is that people that trust in/agree with/are willing to abide by the decisions of General Conference are viewed as being on the same plain as those that aren’t. What is wrong with this picture? My own lifelong experience with the UMC along with spending a significant amount of time monitoring the myriad of voices within the UMC tells me there is no such thing as a single, clearly stated “United Methodist witness”. After my virtual tour of the UMC, the denomination as a whole now comes across as a non-descript large gray space because, collectively, we believe absolutely nothing in particular. There is absolutely no consensus in at least three key areas: who God is and who we are in relation to God, how the church relates to society: and the role General Conference and the Book of Discipline play in the life of the church. As a result there is no nor can there be any real leadership. Currently we are no more than various factions jockeying for position and power which then puts the Bishops in the position of trying to smooth things over and keeping the whole mess afloat. I was born and then baptized into the Methodist/United Methodist Church; she has had a significant and mostly positive role in my life; I was taught to respect the church–but this is absolutely nuts. They say insanity is repeating the same thing over and over again and expecting different results………….. Thank you for your words, Kevin. It also frustrated me that the WCA was placed in this list. While an argument could be made that they have “fanned the flames of schism” by organizing a group that could be considered the beginnings of a new denomination, they are yet to even meet for the first time. While some of their purposes listed purposes did raise a red flag, the truth is they have not violated any part of the Discipline and it is unfair to judge them for something they are yet to do, unlike the other parties listed. I join you in continuing to pray for denomination and its leaders. Thank you for continuing to speak truth and wisdom into our broken and divided denomination, we are blessed to have your voice. Kevin, thank you for this post. I had a very similar reaction when I read paragraph 2 of the bishops’ statement. The title of your post, with its “Sesame Street” ring, also rings true to what I see as a failure or refusal on the part of the CoB to see and to name the obvious. There are some other aspects to the statement, in addition to its moral relativism, which leave me scratching — or shaking — my head. The doctrine of God references are weird. There seems to be an active supposition that what comes out of the Bishops’ Commission will alter the Book of Discipline in some substantive way as touches sexuality, despite the clear indication that GC 2016, like its predecessors, was not about that. The eschatology is, well, interesting. And there is a curious, confessional use of the pronoun “we” at one spot which, taken one way, feels disingenuous and taken another way, is really arrogant and presumptuous. But all this is just analysis. Taken together, it’s hard to see how a body which can produce the statement that Bishop Ough read, will be able to lead us forward. I’ve seen some other postings on your piece elsewhere, and take it that you are in the line of fire in a serious way. Thank you for standing up for solid Wesleyan discipleship in a way that is firm yet gracious, in the face of some really ugly ad hominem stuff. Thank you also for meeting the frowning stalinism of the left with flashes of playfulness and good humor. I agree that the LGBTQ issue has risen to new heights recently within our church. This does sadden me, and I do fear for our future. The election of Rev. Karen Oliveto and the statements of the aforementioned conferences have been huge blows to our church. However, I also believe that on our side of the argument we must strive to not let our pride get the best of us. Has the formation of the WCA violated the Book of Discipline? No, it has not. However, at the same time what message does it send? We sit here and point out how the LGBTQ community and its supporters are drawing lines and fanning the flames of separation amongst us, but in all honesty the WCA is no different. If our honest goal is unity within the church, then we should not be so quick to form a new and separate entity. We should especially be cautious of such an entity that, from an objective perspective, looks like a preparation for separation should the council not rule in our favor. So, brothers and sisters I think we can all agree that we are living in a very dangerous time for our beloved UMC. Both sides firmly believe they are doing the right thing for the church. So the more we tell each other that the opposition is wrong, the thicker we make these lines of division… on both sides. So, I would simply ask that we remember to tell and uphold the truth in love, not in pride. I do know better than to post opinions on even the matters of which I am deeply invested. Yet, I feel compelled. We so quickly vilify one another and make assumptions that seem to come out of a desire to be the first, right voice to be heard instead of the last, humbled spirit to be quietly blessed. I have no great words here to share; I can only share a hope born out of Jesus’ own prayer for unity “so that the world might believe.” The bishops have a remarkably difficult task and have been placed in a seemingly irreconcilable position. Well meaning, good people from every opinion are doing their best. Though some – it must be acknowledged – may be fanning the flames of schism rather than revival, I cannot simply acquiesce to the lower notion that so many of my sisters and brothers of varying opinions are knowingly and intentionally trying to tear us all apart. I get saddened by name calling, accusations, and echo chambers that only seem to embolden those who already have decided that they shall not be moved. Neither do I agree with the notion that we as United Methodists have no witness, consistent theology, or practical effect in the world. I myself am a product of United Methodist evangelism, nurture, and investment. I have ministered to many who have come to know Christ for the first or fiftieth time because of our common witness to that Christ. It may be muddied; it may be difficult to navigate at times; it may be hard; but that is simply the nature of the Kingdon I think. Yes, I believe staying in unity with those with whom I deeply and conscientiously disagree may be still a higher calling than having theological and practical purity. I do not disparage bishop Ough. From my perspective, he is doing his best. I do not disparage the WCA, Reconciling Ministries, Dr. Watson, the Western Jurusdiction or any one else. For in this moment in history I am convinced that we all would benefit (certainly I myself) from the exhortation to be be “slow to speak, slow to anger, and quick to listen.” Thank you, Dr. Watson, for your thoughts. I will pray for you and the concerns you offered. To all who have joined in this public forum, I mean no disrespect but only ask that we pray for the knowledge of God’s will, not a revelation of my or anyone else’s rightness. Finally, I want to stress, not a sound doctrine exactly, but perhaps a simple question for reflection. Is it possible that God might actually want us all (liberals, evangelicals, progressives, traditionalists, dynamic moderates, conservatives, and fundamentalists) to remain in institutional fellowship because – albeit a true mystery – our unity is a stronger witness to Jesus than a parting of ways to seek solice with the line minded? I hope for the unity of the church because that is what Jesus prayed: “that they may all be one…so that the world might believe.” In humility and trepidation, I submit these words for public scrutiny, blessings hopefully to come to us all in due time. Rev. Barry Bennett, at 55 I have been a life long Methodist, I can remember where my great grandmother sat in my church, as well as all the generations between. I can remember running around all the areas of my church as a very young child. My great grandmother’s grandfather was a Methodist minister, so I hope you can get a feeling of my deep affection for our church. I have not been a “good” Christian for most of my life, I do not count myself one now, even though I still count myself “saved” as a teenager. When I left for college, obtaining a BS degree in Psychology, I took many courses which challenged my beliefs, requiring me to incorporate the conditions of “higher criticism’, please forgive if I do not use the correct terminology. I kept my core faith in the Holy Scriptures, believing that God accomplished the things written therein, exactly as he intended, even if I could not explain it, even if it went against “Science”. I started exploring other religions looking for God, not questioning my own, but trying to find God’s communications to humanity therein. Higher criticism served me well over those years, even while examining other facets of Christianity. Slowly, religion after religion passed from my interest, until I was left with what I viewed as three: Judaism, Christianity, and Islam. After considering the possibility for unification over a period of time I was left with Christ’s own statement of being the only path to heaven. Next, it became apparent that many “so called” Christian groups are not Christian at all. Unlike other religions, the only “true Christians” are those who are actually “saved”, not something we can know except within ourselves, not regarding others except by their “fruit”, their turning from sin. Over the past half dozen years I have been drawn closer and closer to a “Reform” perspective regarding Christianity, I do not hold to strict Calvinist beliefs, I have a strong faith that at least “most people” can be saved, even though pure logic flowing from the scriptures makes it hard to hold to this. The Holy Spirit within me rebels in the face of human logic at this point. It has hurt me time and time again to see Methodism criticized in regard to predestination and total depravity, either being “created saved” or “created damned”. I can see arguments from scripture specifically backing these views and I can see scripture which clearly states all we have to do is believe and repent of sins. My resolution to this conflict is to view the entire question as two sides of the same coin. We must believe in both sides, even though in our minds we can not reconcile the two. I believe that John Wesley’s and George Whitefield’s schism over this very question lead to John Wesley’s four pronged approach to understanding the bible. I wish these two men had been able to remain united together as the fathers of our church and to have their struggle over this issue as a hallmark of our teachings. 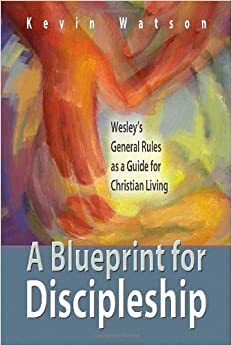 I am deeply saddened when I see the Holy Scriptures be of little authority for the Methodist Church and I am sure it would enrage John Wesley, who was dealing with this very personal conflict over specific issues with a dear friend. I can not believe his response would ever be a rejection of the Holy Scriptures, which is what we are faced with today under the liberalism which is taught in our seminaries and being adopted by our “Progressive” churches. The “Traditional” church is vilified as being homophobic when they are only calling for faith in the bible. God abandons those who abandon him, and there are many ways to abandon God, and it is usually by not following his word given to us in the bible. So called Christianity is divided into what it seems is two camps, both thriving, both are relatively broad and can be generally labeled as either “Reform” and “Progressive”. I see our Methodist Church as being between these two distinctions, those Methodist churches which are more closely aligned with one side or the other appear to be healthy churches, while those in the middle are dying out. In the Sermon on the Mount Jesus speaks of people in the end of times who say to him “Lord, Lord, only to be told I never knew you, these people are many and believe themselves to be Christian, I hate to say this but I firmly believe the Lord, Lord crowd to be the Progressive church. Why do I believe this, for two simple reasons, Jesus tells us to turn from the world and that the world will hate us. The world loves the Progressive church, they hate the Traditional church. The second reason, what is going on here is amazing in it’s simplicity and with humanity completing a circle scripturally, we are back to Genesis and the “Fall of Man”. God tells man what his word and law is (the bible), the world (Satan) temps man to disbelieve God’s word, and man ultimately disobeys, original sin, and we are repeating this simple blueprint for failure right here and now within our Methodist Church. We have an opportunity today to do an amazing thing. It is the 500th anniversary of the Reformation next year. Let us raised the banner of biblical inerrancy for our denomination, even if we as individuals have personal issues regarding our own faith. This stance of biblical inerrancy alone will allow us to walk forward together in love proclaiming a “saving” gospel to the world and to heal the wounds this division has caused. We must call for repentance on all levels of our denomination, then we can discuss how we all can live fulfilling lives while striving not to violate God’s laws. We can not expect to have God’s blessing by telling Him we know better today and that his laws are wrong. There must be a way that each of us can live fulfilling lives while abiding by God’s laws, and we can move forward together helping each other to live in “His Way”. Remember, an early nickname for Christianity was “The Way”‘ let us reclaim this!! You state, “Evangelicals are considering leaving because The United Methodist Church is not who it says it is.” How many years have Methodists been leaving? My father left – along with his wife and children – in 1963. It was a momentous and deeply disturbing move. Cause for grieving. He was considered a later “come-outer. U.S. Methodists were leaving in early 1900. The Evangelical Methodists formed in 1946. How long has there been personal pain and grief in the UMC – both in leaving and staying? I am with you Mr. Kevin Watson and James (on Aug. 2 at 11:08 am). Thank you both. Just read this in “Good News” magazine and wish more people would have the opportunity to read it.